Researchers from the Imperial College London and the U.S. Centers for Disease Control and Prevention have identified a simple new method to better assess the risks posed by emerging zoonotic viruses. Estimates of transmissibility from animals to humans are traditionally derived from detailed outbreak investigations, which are resource intensive and subject to selection bias. In this study, the authors develop a method to derive unbiased estimates of transmissibility with more limited data. 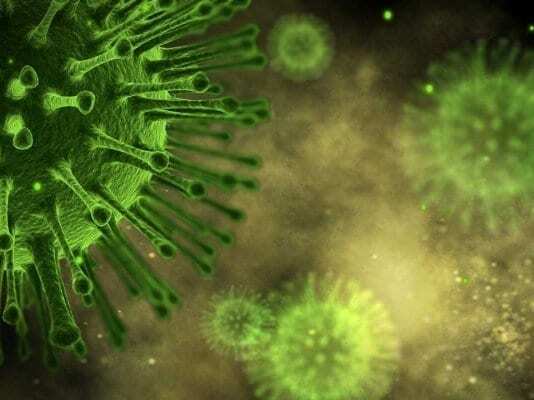 Published in PLOS Medicine this week, the research shows that the new tool can produce transmissibility estimates for swine flu (the H3N2v-M virus), allowing researchers to better evaluate the possible pandemic threat posed by this virus. The team developed a mathematical model of disease transmission, which only requires data from routine surveillance and standard case investigations. They showed that the pandemic potential of a zoonotic virus could be estimated simply from the proportion of cases infected by the natural reservoir. The authors then applied their new approach to assess the human-to-human transmissibility of H1N1v, H1N2v and H3N2v viruses (in particular that of the H3N2v-M virus) from US surveillance data for the period December 2005 to December 2011 and Nipah virus in Malaysia and Bangladesh, as well as to a non-zoonotic pathogen Vibrio cholerae in the Dominican Republic. Zoonotic viruses primarily cause occasional infections in human populations exposed to reservoir species (the animal species harboring the virus) because the pathogens are usually poorly adapted for sustained human-to-human transmission. However, zoonotic viruses are under strong selective pressure to acquire the ability for human-to-human transmission. Dr. Simon Cauchemez and colleagues demonstrate that the novel approach described in their paper will be useful in assessing human-to-human transmissions during zoonotic outbreaks. Funding for the research was provided by: the European Union Seventh Framework Programme, European Union FP7 EMPERIE project, the NIGMS MIDAS initiative, the Medical Research Council, and the Bill & Melinda Gates Foundation. Read more at PLoS Medicine: Using Routine Surveillance Data to Estimate the Epidemic Potential of Emerging Zoonoses: Application to the Emergence of US Swine Origin Influenza A H3N2v Virus.